Prominent & Leading Exporter from Ahmedabad, we offer octagonal blender, ball mill, ribbon blender, octagonal blending machine, double cone blending machine and v blending machine. Discharge Flange To suit 6 Inch Butterfly Valve. Power Supply 415 V/ 50 Hz / 3 Ph / A.C.
Mastech Machinery is the preferred name in the market that engages in proffering precisely engineered Octagonal Blender. Manufactured in compliance with the predefined industry norms, these blenders are vastly acknowledged for their low power consumption, longer functional life and less maintenance. 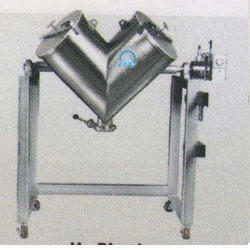 Octagonal blenders are provided in tamper proof packaging to prevent abrasions. Mastech Machinery is a trusted name in the field, which engages in the manufacture and export of Ball Mill. These high functionality ball mills are used for grinding materials into fine powder to be used in paints, ceramics and mineral dressing processes. Made available in multiple specifications, these durable and sturdily constructed ball mills are widely popular in the market. 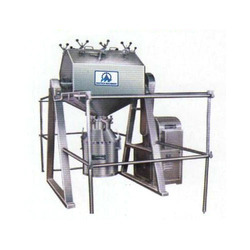 Being one of the leading names of the field, we are engaged in proffering Ribbon Blender that finds a vast application in lubrication of dry granules, mixing of cosmetic powders and dry mixing of free flowing powders. Made available in several specifications, these efficient and high functionality blenders are vastly sought after. Ribbon blenders offered by us are available at affordable rates. 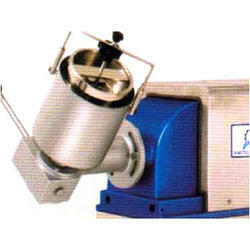 Being the leaders in the industry, we are offering a huge array of Octagonal Blending Machine. These products are is manufactured using quality components and parts which are procured from the trusted vendors. Additionally, we offer this product at market competitive price. Other Parts SS 304 Cladded / Covered. Surface Finish Internal 240 Grit Mirror , External 180 Grit Matt. Enriched with rich industrial experience, we are engaged in offering a wide range of Double Cone Blending Machine. Our offered range is manufactured in compliance with industry set standards by using quality-approved material procured from the trusted vendors of the market. Enriched with rich industrial experience, we are engaged in manufacturing and supplying wide range of quality tested V Blending Machine. Our products are widely used in pharmaceutical industries and are used for blending and mixing the granules. Being V in shape these products functions on the principle of interacting and tumbling. Our entire product range is in compliance with international standards of quality. 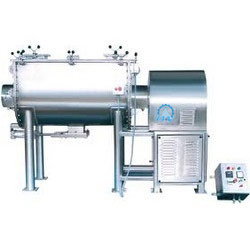 Backed by a team of experts, we are fabricating, exporting and supplying a wide array of Mixing Drying Machine that is basically manufactured for uniform, homogeneous, and quick mixing of powders and semi-wet materials of different densities. 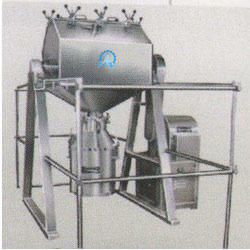 These are specially designed to obtain complete and thorough mixing.